Listen to and follow very short conversations, messages, announcements, and information services related to areas of immediate relevance in daily life. Read and follow the written text or written version of spoken discourse on everyday matters. Assessment is not applicable for the English Introductory (Short Course). 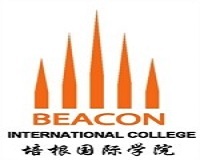 Certificate in English Introductory (Short Course) awarded by Beacon International College.